Follow the Aro to the home of your dreams. Let our real estate team show you around the South Sound. Gig Harbor is an attractive location for young professionals, families, and retirees who want a quiet waterfront home they can enjoy during their golden years. 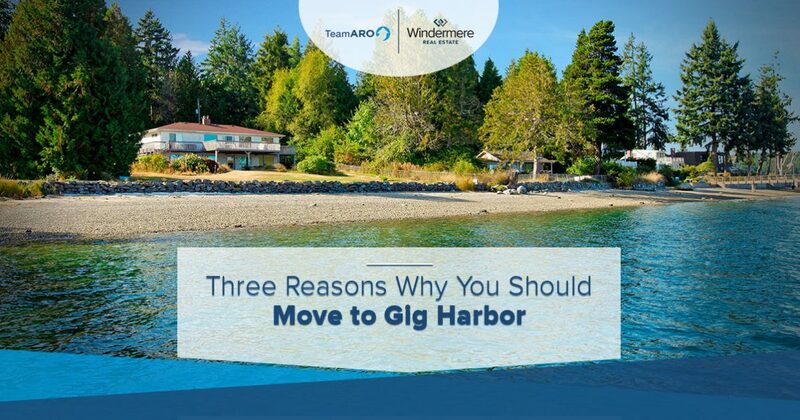 While we could certainly come up with a much longer list, in today’s post, we’ll explore three reasons why you should move to Gig Harbor. When you’ve finished reading this post, get in touch with a member of Team Aro to learn more about how we can help you find a luxury home in the area. Whether you’re looking for a beautiful waterfront property or something more centrally located, our Gig Harbor Realtors® will be able to help you find the home you’ve always wanted. Are You Looking for a Luxury Home in Gig Harbor? Are you looking for a beautiful waterfront property in Gig Harbor? Contact the friendly and experienced Realtors® from www.teamaro.com to get started! Gig Harbor is one of Washington’s most beautiful areas, and our real estate team is dedicated to helping find a property that meets your needs and stays within your budget. Living close to the water is a dream for many, but waterfront properties in locations like Northern California, Seattle, and Tacoma are generally extremely expensive. Of course, you can find a more affordable property by searching further away from the water, but if you’re moving to Washington because you want a scenic view of the water, then you can’t settle for anything less than actual waterfront home. One of the best reasons why you should move to Gig Harbor is that the waterfront homes come with exceptional views, but aren’t as cost-prohibitive as the homes located in larger coastal areas. The Realtors® from Team Aro can help you find a scenic property that exceeds your expectations without exceeding your budget! The Gig Harbor community is welcoming, friendly, and diverse. Whether you’re a fan of farmers’ markets, live music, or learning about the rich history of the Northwest, Gig Harbor’s thriving community makes it easy to explore your interests. There are a number of museums and galleries that can be enjoyed by people of all ages, and one of Gig Harbor’s main attractions is the Gig Harbor Film Festival that takes place every October. If you like tasting small-batch spirits and beers that have been crafted with care by the people in your community, then you’re in luck! The Heritage Distilling Company is one of the gems of downtown Gig Harbor, and craft breweries are opening all over the city. Please get in touch with our Gig Harbor Realtors® to learn more about how you can further explore your interests and become part of the area’s thriving community! Gig Harbor is an attractive location for both retirees and young families, as it’s just a short drive away from larger areas like Tacoma and Seattle. You can take the whole family up to one of the larger cities for a fun day out, or stay in town to enjoy the many museums and local attractions. 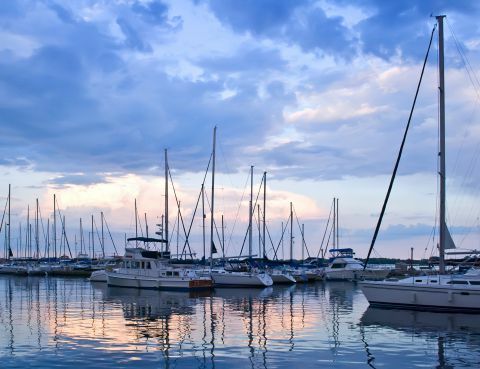 Many of Gig Harbor’s residents are here because of the boating and maritime culture, and you’ll find a variety of nautical activities and opportunities to get out on the water throughout the year. The schools in the area are some of the best in the state, and you can easily drive to one of the nearby natural areas for a day of hiking and adventuring. There truly is something for everyone in Gig Harbor! Are you ready to find a waterfront property in Gig Harbor? Get in touch with Team Aro today to get started!